specialty insurance and reinsurance, announced today that CEO Mark E.
on the same Web page noted above. International Operations. 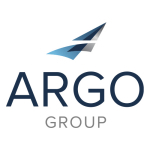 Argo Group’s insurance subsidiaries are A.M.